Once you've taken care of all the preliminaries and after your new wood flooring has got adjusted to its a new home, you're now ready to begin the installation of the new floor. By proper preparation of the subfloor and is equipped with proper tools and supplies accomplishes the job very fast. Installing strip and plank flooring – The method used to lay tongue-and-groove strip flooring and tongue-and-groove plank flooring is almost similar. The two kinds are attached by blind nailing. Of course, in tongue-and-groove plank flooring, plugs and screws can be added–to some extent for strength, but to a large extent cosmetic reasons. 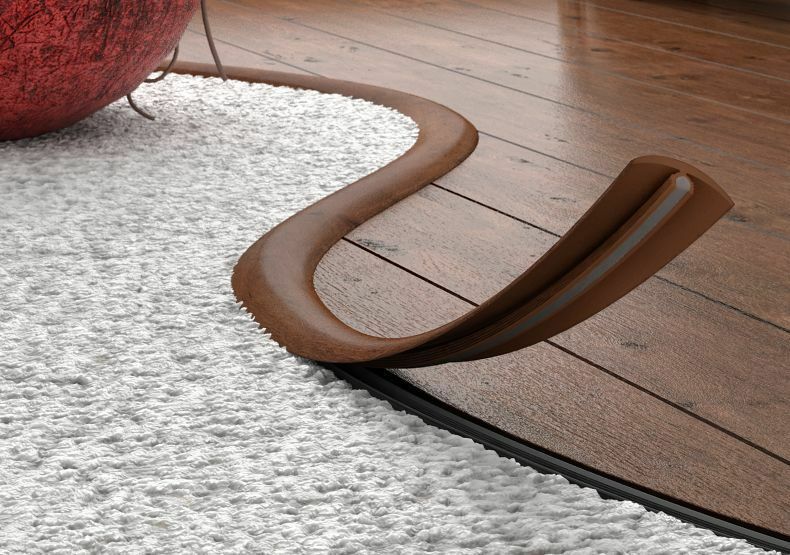 If you are looking for floor trim strips then you can visit https://flooringsupplies.ie/product-category/floor-trim-strips-flooring-accessories/. On the other hand, square-edged plank flooring, is secured only with screws. Nails through the holes are used to fasten square-edged strip flooring. One of the best ways to assure a tight floor is by installing the strips in a perpendicular position to the joists, which usually run across the room, and by nailing the strips through the subfloor into the joists. Use a chalk line to mark the locations of the joists on the paper covering the floor. Plan the first course carefully – The key to easy installation of strip or plank flooring is to ensure the first course that you lay is parallel to the center line of the room. Take many measurements of the width of the room and find out as accurately as possible the center line of the room. Use a chalk line to mark the center–that will be your main reference point. In the next step, as you measure from the center line near each end (place your tape perpendicular to the line), layout and mark one more chalk line about 1/2 inch from the wall you've chosen to be your jumping-off point. Through this line, you will be able to align the first row of the flooring correctly. In rooms which are irregularly shaped, by establishing a center line as closely as you can to the center of the room and mark a chalk line. The first row of your flooring will be installed from the center line of the room, with the grooves in the boards facing the center. To join the two back-to-back grooved boards along the center line, spline, which is a special wood strip is used. While you're working right over screeds, using a chalk line will not be as easy as it is with a strong subfloor, but the steps are the same. Of course, polyethylene film hides the screeds. While measuring to locate the center line and other lines (and always while you're laying the flooring), take care not to step between the screeds and puncturing the film.